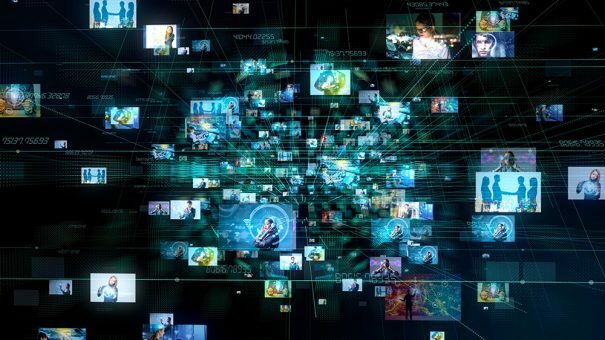 Innovations such as interactivity are making video more like the web in terms of delivering heightened results from marketing, including deeper engagement, ISI compliance and audience insights. Video has become the favourite marketing medium for brands and consumers alike. Pharma brands receive more shares and comments per video than any other type of content, according to AdWeek. Video is used to educate healthcare providers on drugs, new indications and disease states and as the centrepiece for patient engagement programmes, many of which have been shown to reduce hospital visits, decrease mortality rates, and improve quality of life for patients with chronic conditions. For most brands, online video as part of a digital marketing strategy simply works better at delivering clear, memorable information. Studies have revealed video content recall in the range of 95%, with recall of that same content as text at around 10%. Simply put, it’s the most powerful medium online and highly effective for bringing new drugs to market. More than 70% of consumers who watched a branded video said it left them with a positive impression of the product or company. But empowering and engaging audiences through online video is not without its challenges. Pharma marketers and educators face the dual task of cutting through the clutter to reach healthcare professionals, caregivers and consumers while simultaneously meeting increasingly stringent regulatory, localisation, and audience data requirements. For at least half of the top 10 life sciences companies today, interactivity in videos is being used to address these concerns and more. Unlike the interruptive marketing messages of the past, today’s pharma communications have been replaced with more valuable content, designed to educate and inspire consumers, many of whom invest much time researching disease states and associated therapies from readily-available web content. Interactive video is an emerging trend that is rapidly changing how people learn, buy and engage – transforming traditionally passive video into more measurable, clickable, ‘web-like’ experiences (Figure 1). Figure 1. Adding chapters and other interactivity to an online video experience promotes engagement through more relevant, personalised experiences. As technical barriers to creating and delivering interactive video disappear, marketers and educators can use it to offer consumers more relevant and personalised experiences without the level of custom development typically required to add navigational elements, such as chapters, downloads, links to other videos, and response mechanisms. By simply ‘overlaying’ interactive elements on a video, studies have shown up to 10 times greater user engagement than linear online video. But what about ISI compliance? While top pharma brands work to embrace modern digital marketing channels, there are, of course, limitations. For example, requirements for managing Important Safety Information (ISI) in online video remains a grey area without well-defined guidelines in many geographies, including the US. In fact, omission or minimisation of risk information is the most frequent violation of the regulations cited in advertising and promotion enforcement letters. Only recently has the US Food and Drug Administration (FDA) started to pay closer attention to the use of video, ensuring that it doesn’t overstate benefits, and that risks are presented prominently in accessible formats. According to one letter regarding a patient video on a pharma website, side effects were minimised in text located underneath the video player. At the same time, most standard video players enable viewers to easily jump ahead to downstream parts of a video by clicking the timeline and bypassing the ISI. To comply, many agencies and marketing organisations creating these videos handle ISI through extensive custom development or code changes to accommodate links to safety information. Essentially, this requires marketers to reinvent the wheel with each project. An approach that we’ve developed requires the viewer (using any popular video player) to watch ISI information for a determined period of time, say 10 seconds, before a gate is released and they can navigate to other portions of the video (Figure 2). In some cases, chapter links are applied and managed off-video so not be to be intrusive to the viewer. An added benefit of using such an out-of-the-box approach with standard video players is that it works well in both mobile and desktop environments. Figure 2: An imposed gate within the video player supports the presentation of Important Safety Information (ISI) before viewers are allowed to navigate to other content. Regulatory hurdles can bring other complexities, too, such as the need for different video versions for patients and practitioners. Add to this the fact that most pharma companies operate globally, requiring many versions of a video to meet the needs of each market, geography, and indication. Rolling out programmes to markets that have different cultures and speak different languages is a formidable challenge, and addressing localisation is a costly issue that requires efficiency at scale. Pharma brands and their agencies have found that some interactive video platforms enable mass-localisation without the cost and pain of one-off approaches. They provide templates that allow marketers to instantly add or modify annotations across the entire video catalogue, eliminating the need to re-cut the video to update ISI and other annotations for each market, geography, language, etc. Tools and technologies such as these keep quality high while enabling video producers to gain greater efficiency and agility without unrealistic costs. There’s also the imperative for data on programme success. Most digital marketing channels have considerable money flowing through them, and depend heavily on click-through measurement. Online video is no different. Enabling in-video interactions throughout the video provides pharma marketers with a richer set of click data which is not achievable with online video alone. Depending on the interactive elements employed, this information can reveal user intent, if they are linking to other content, or they move to a conversion funnel. Beyond that, this can provide audience segmentation that can be used to understand and predict the behaviour of new users, repeat users, and activated users to adjust content strategies accordingly. From a compliance perspective, user-level click-through data from an interactive experience can also be useful in auditing whether a patient watched the video, downloaded drug information, linked off to other videos, and so on. Interactivity lets online video transcend its own restrictive data, which is often limited to how many times the player loaded or at which point the viewer stopped watching. Pharma marketers have learned to thrive in one of the most highly regulated industries, and innovations continue to emerge that open the door to allowing pharma marketing to be even more impactful. The expanded options for online video in digital marketing is another example, allowing marketers to create a more personal connection with audiences. Interactive video in branded, or disease education, campaigns can be an effective and measurable way to encourage patients, caregivers and healthcare professionals to engage and act. 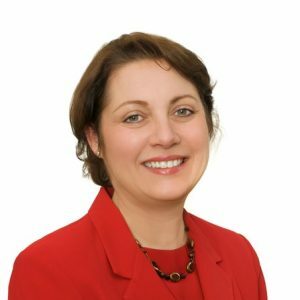 Lisa Clark is vice president of marketing at HapYak, an interactive video platform provider to global pharma companies, healthcare providers and life sciences companies.